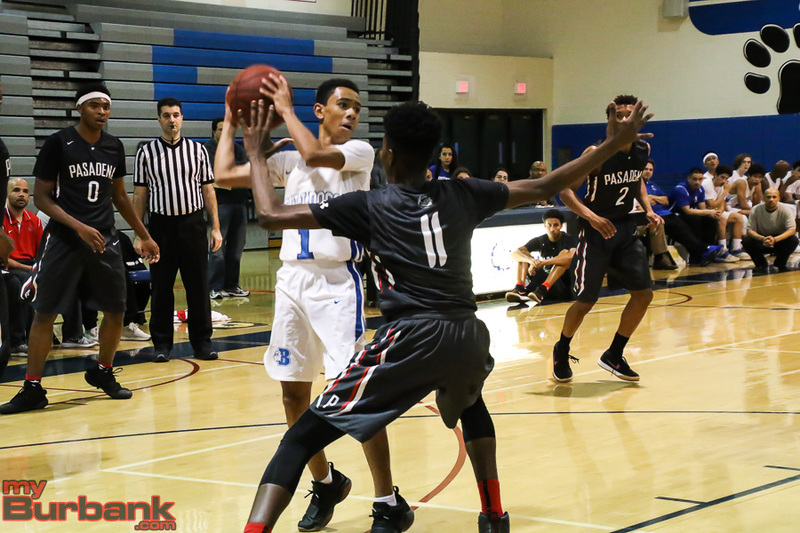 Jamayne Potts may have spent just three seasons as the boys’ basketball coach at Burbank High. 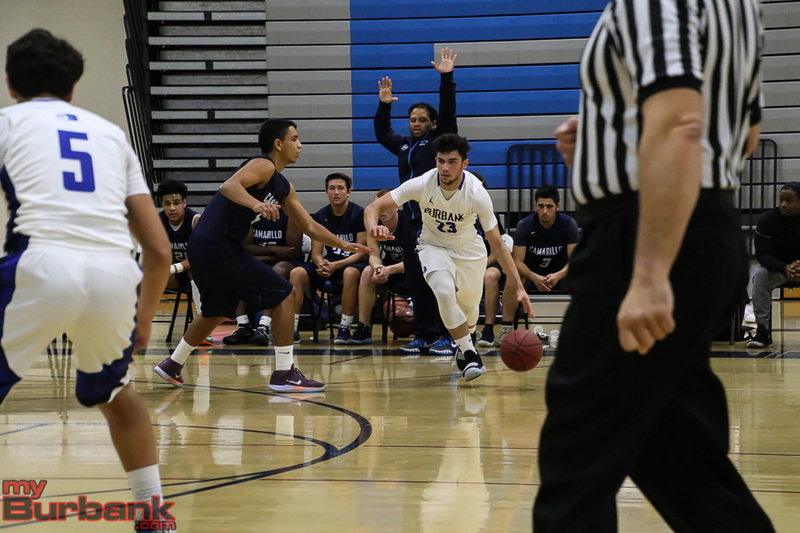 But his impact will always be remembered. 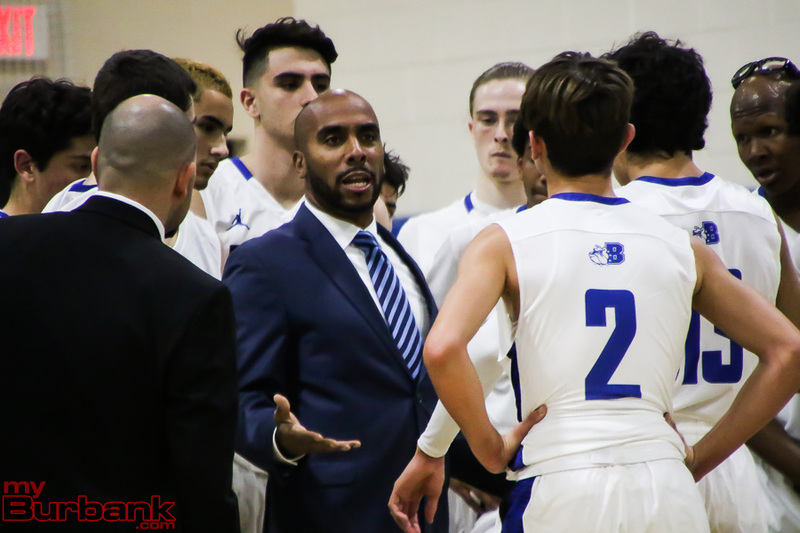 Potts, who in 2017 nearly took Burbank to a CIF title, stepped down this past week at Burbank to take over the same job at Village Christian of Sun Valley. 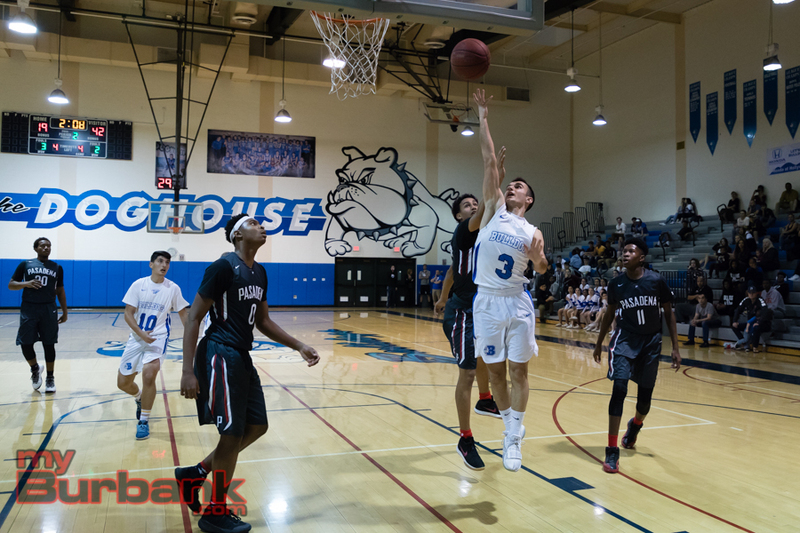 Potts compiled a 62-32 record in three seasons with the Bulldogs, including a 23-19 record in the always tough Pacific League. 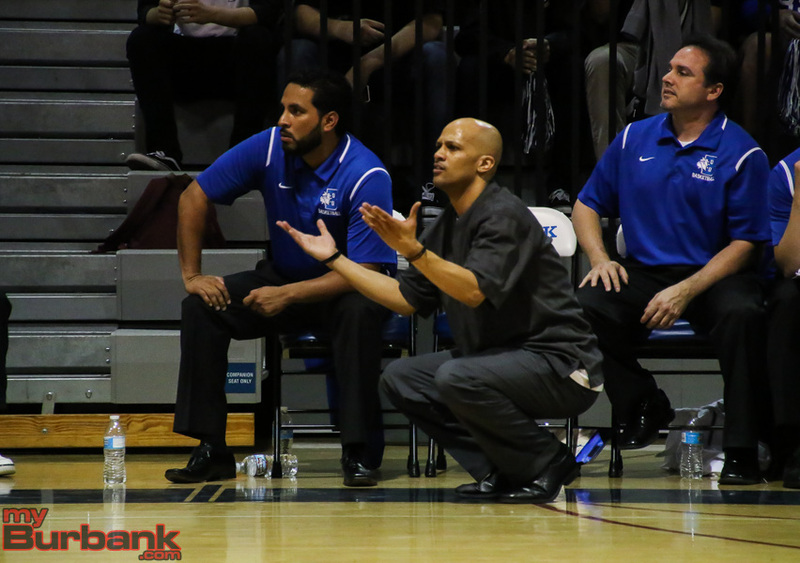 He becomes the fourth Village Christian coach in three years. 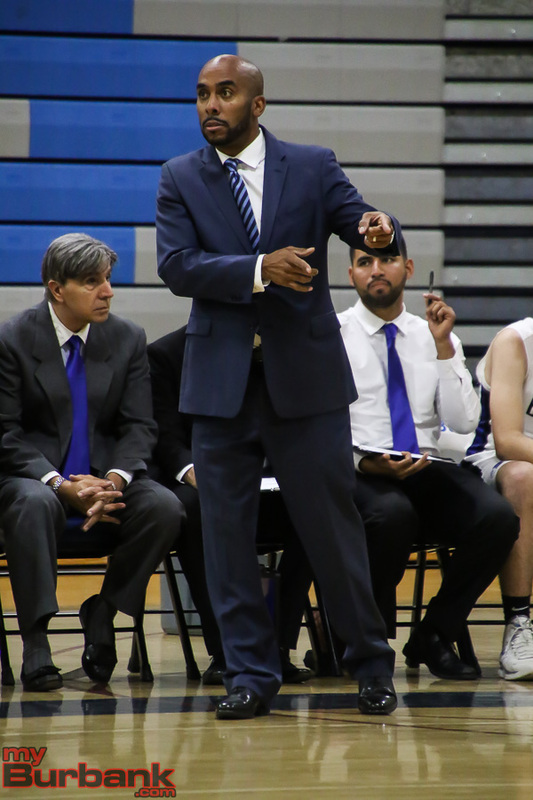 Marvin Adams recently resigned to take a collegiate job before he coached his first official game. 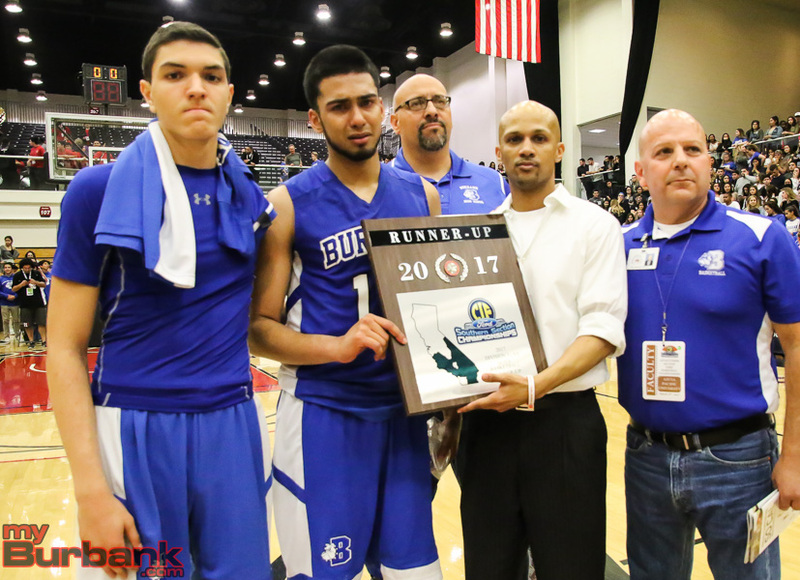 At Village, he will join former Burbank football coach Richard Broussard, who is now the head football coach. 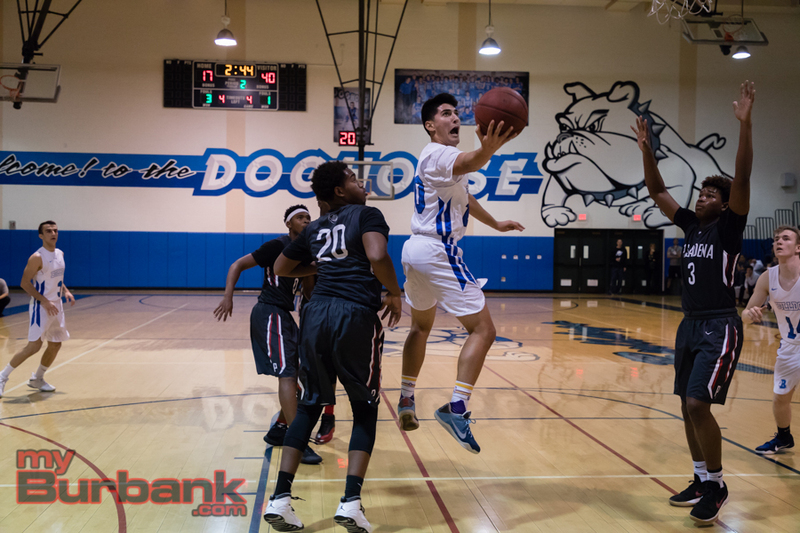 Potts said he will always have fond memories of his time spent at Burbank. 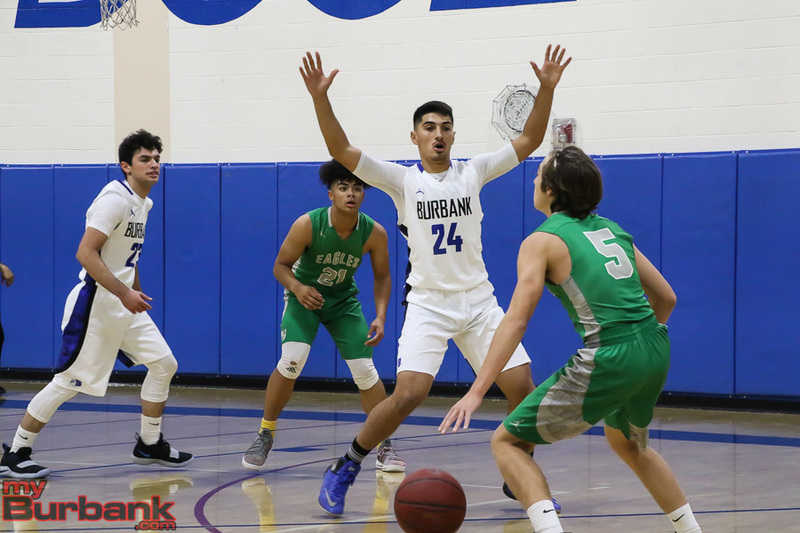 Burbank returns a solid group this season of seniors who were on the varsity team as sophomores two seasons ago and have CIF championship game experience. 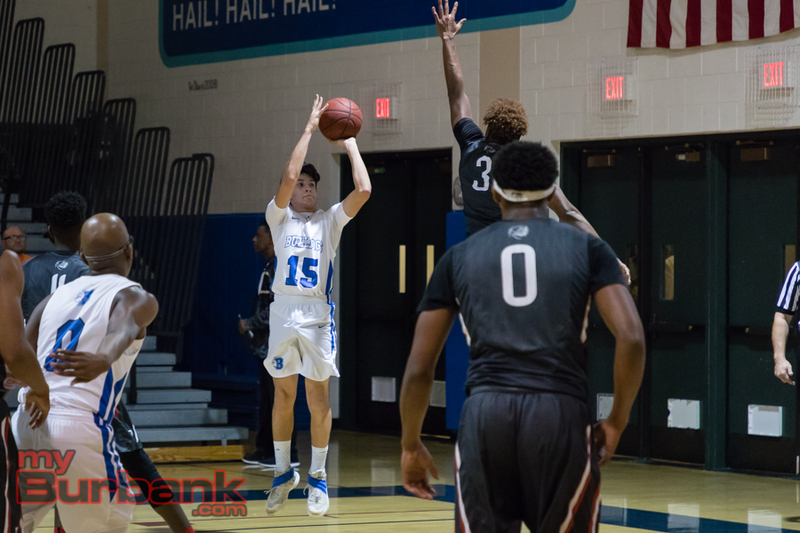 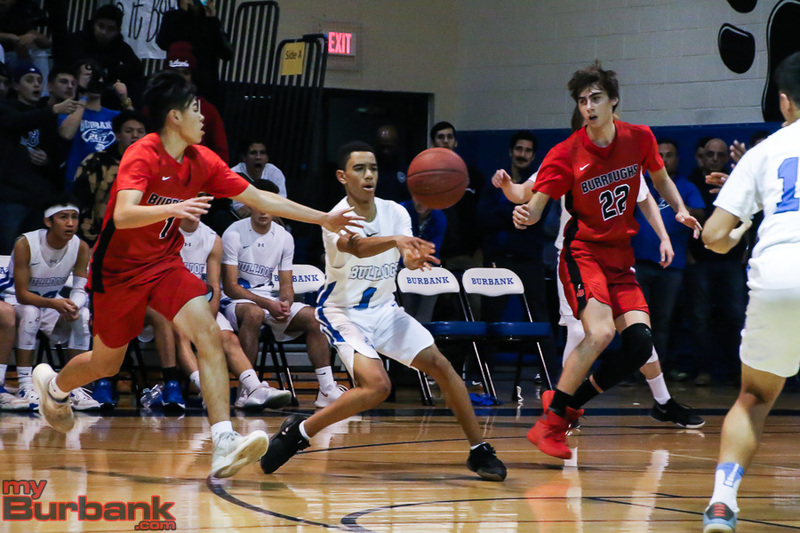 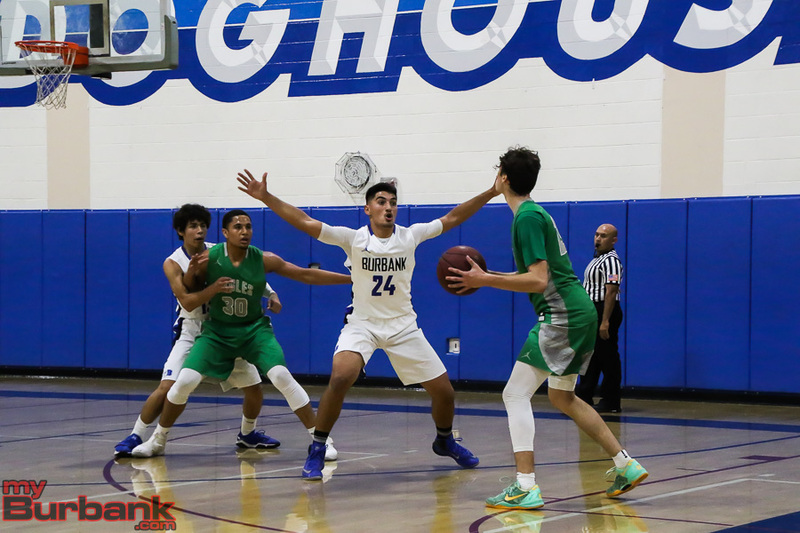 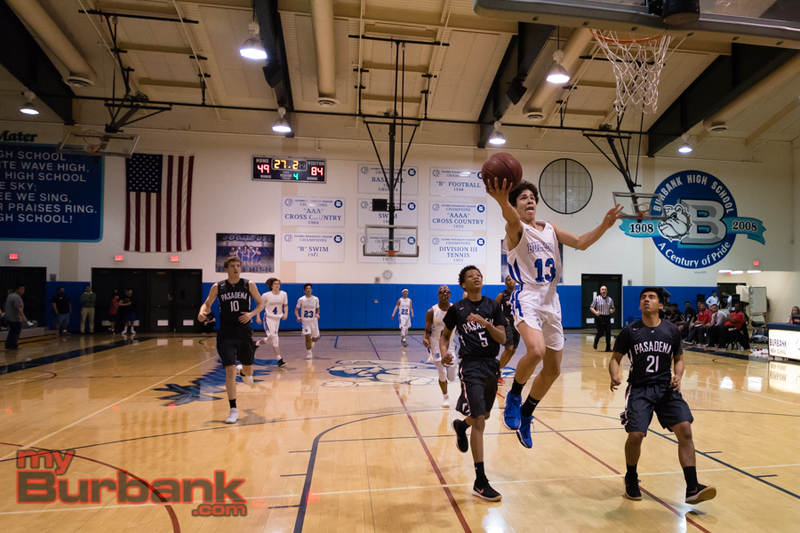 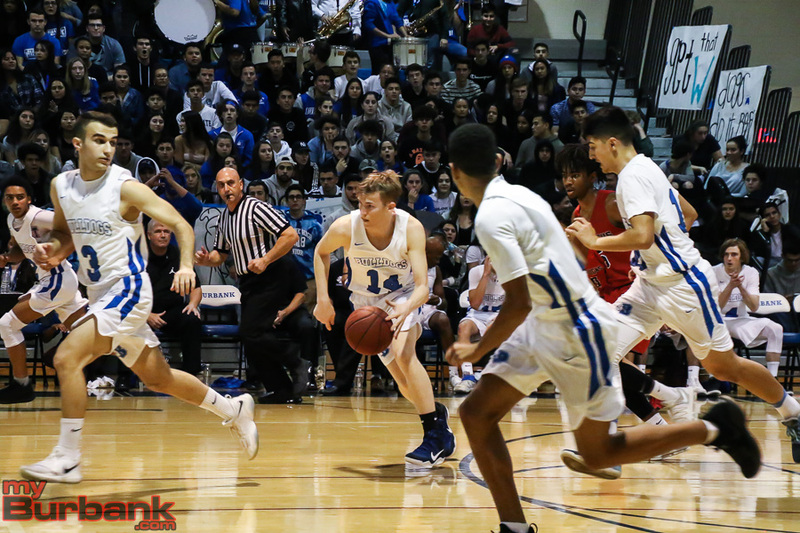 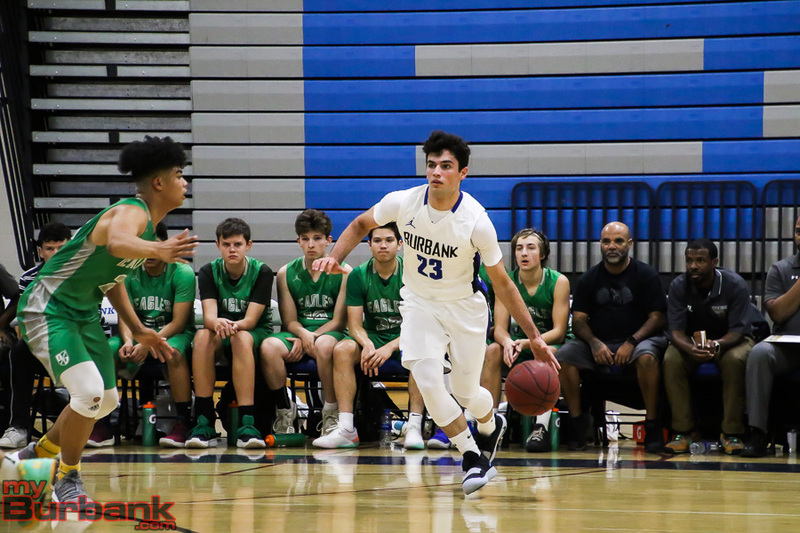 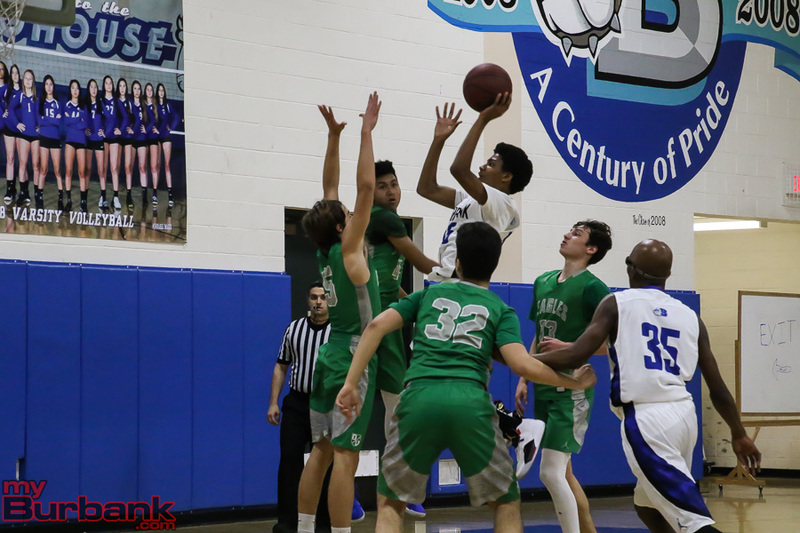 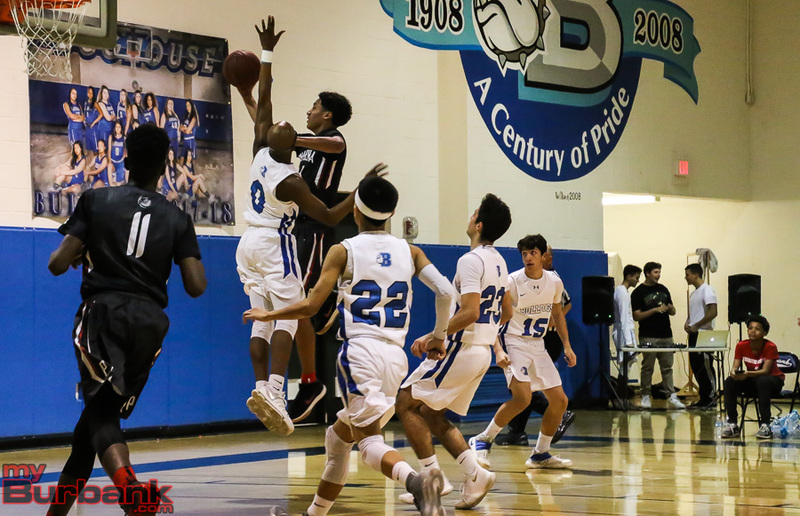 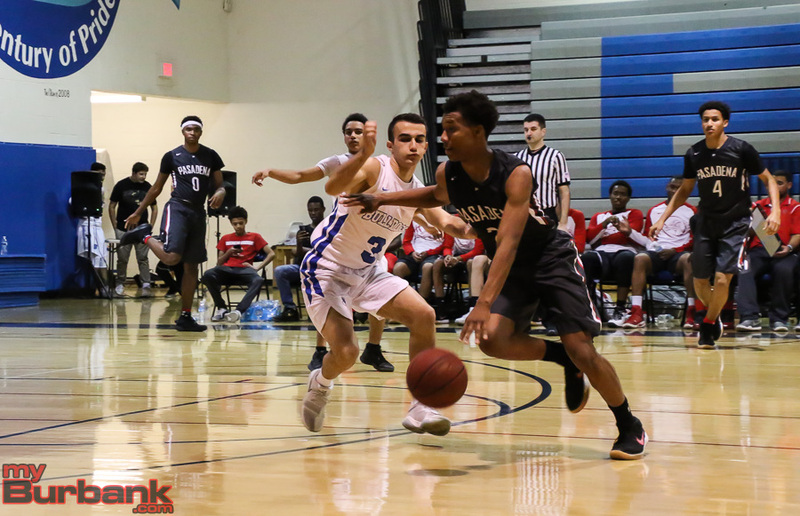 This entry was posted in Boys Basketball, Sports and tagged Burbank boys basketball, Jamayne Potts on August 19, 2018 by Jim Riggio. 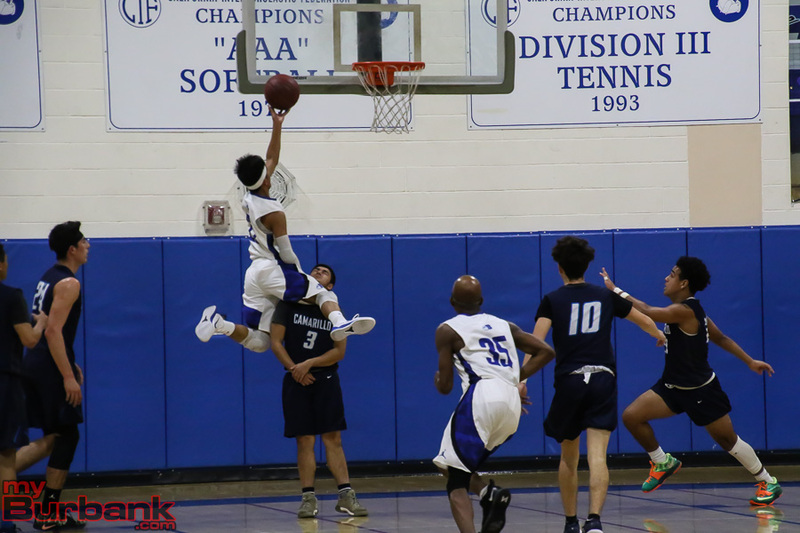 The old saying is if it isn’t broken don’t fix it. 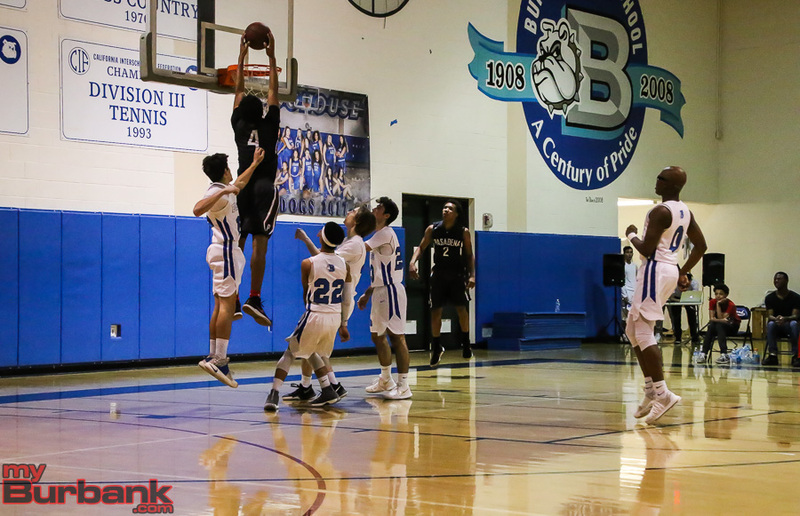 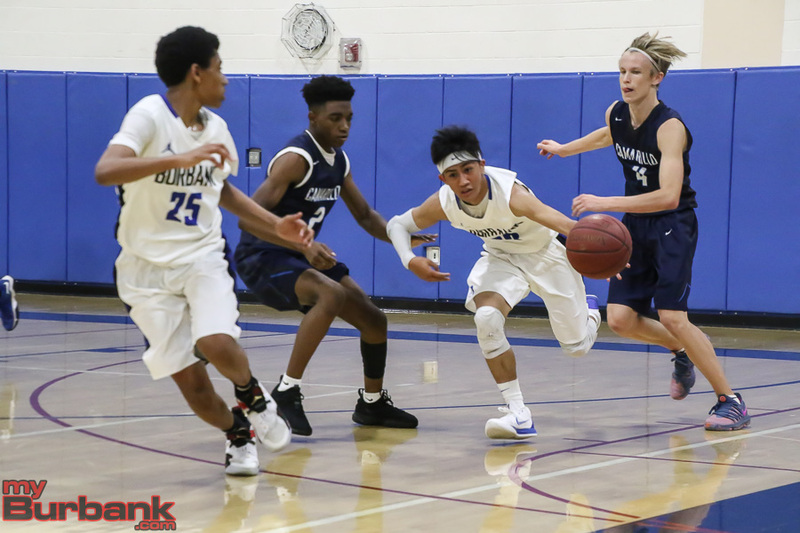 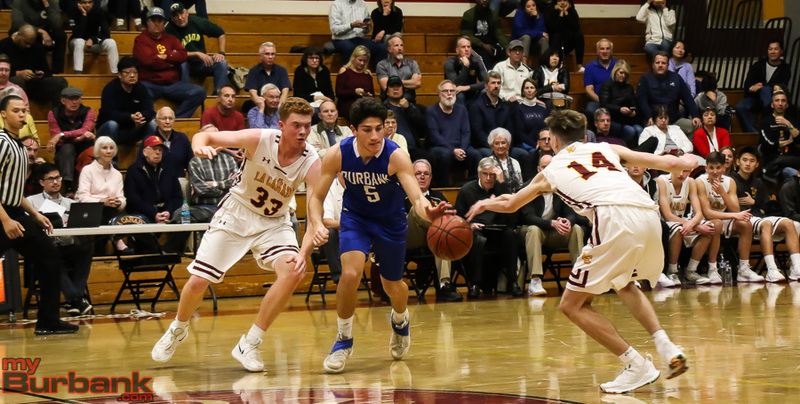 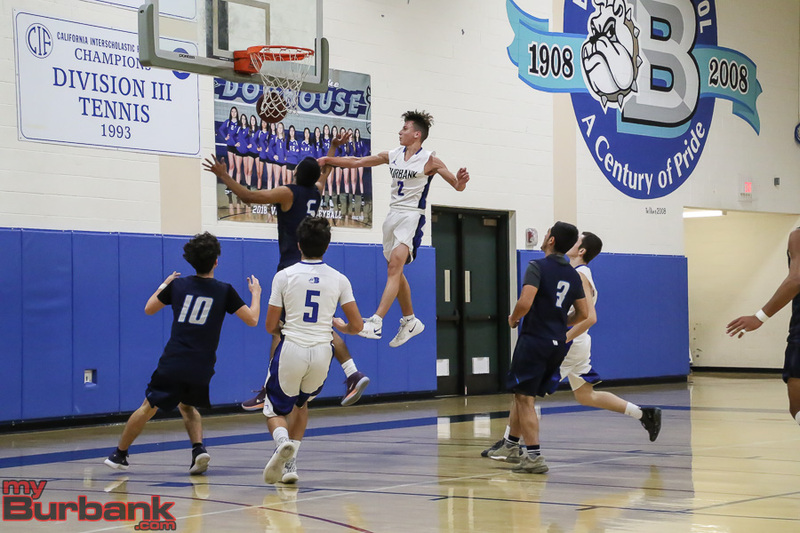 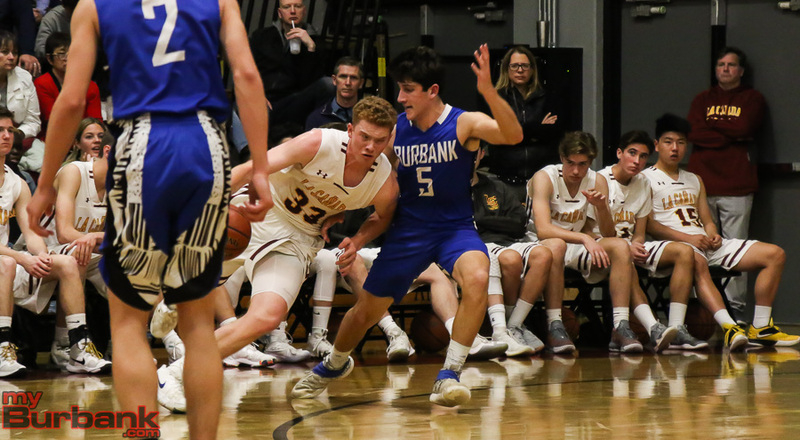 That is what happened to the Burbank High boys’ basketball team Friday night when the Bulldogs faced rival Burroughs in a Pacific League contest. 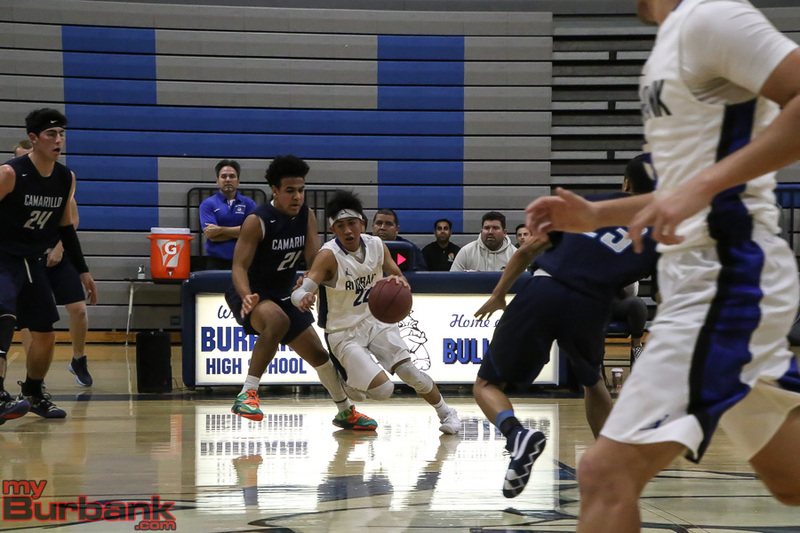 Burbank came out in a zone defense that bothered the Indians in the Bulldogs’ 61-46 home win. 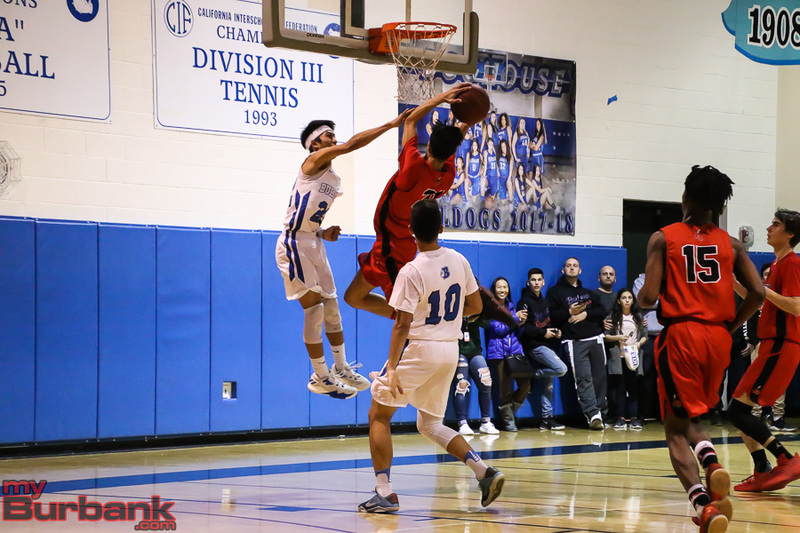 Burbank (13-7, 3-4 in the league) jumped out to an early lead and was never seriously threatened by Burroughs (11-8, 2-5). 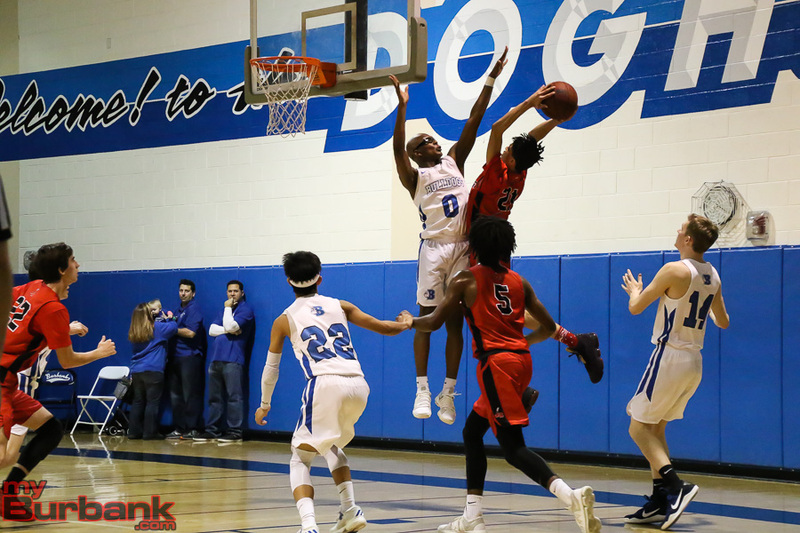 The Bulldogs led 16-6 at the end of the first quarter and led 30-19 at halftime. 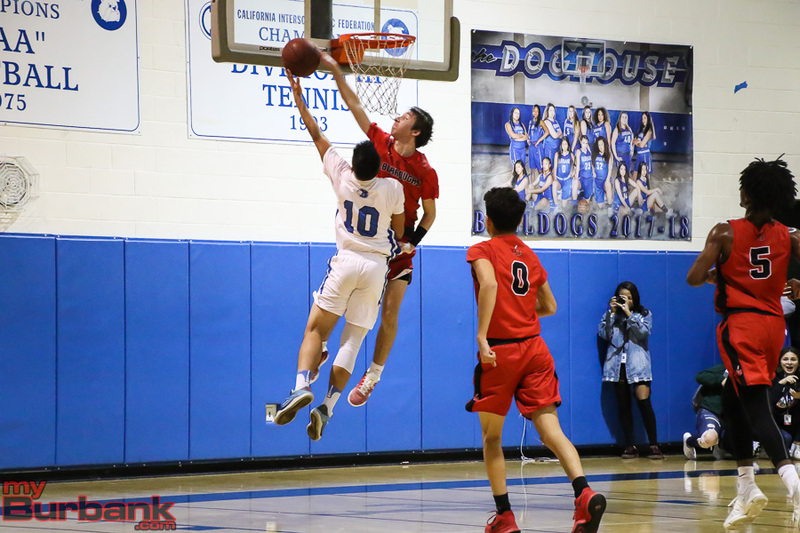 Things didn’t get any easier for Burroughs in the second half, as the Bulldogs went up 47-30 going into the final quarter. 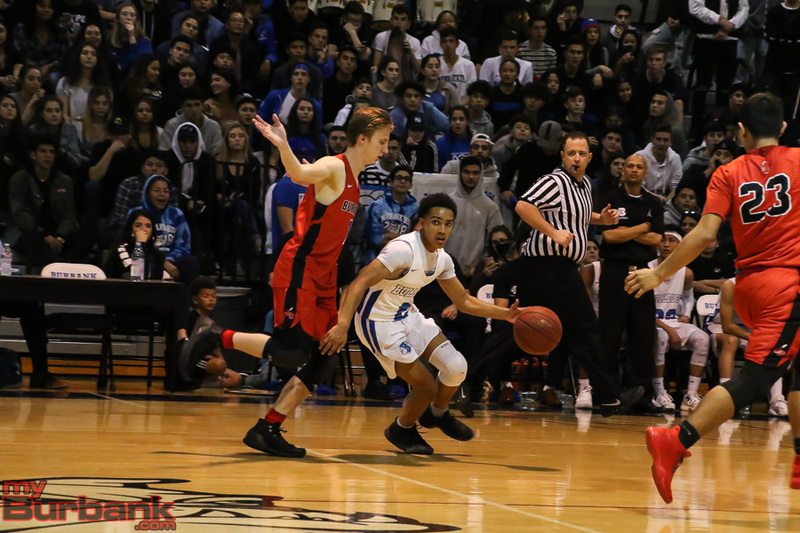 Burroughs played without star guard Stefon Foster, who has battled a number of leg and knee injuries. 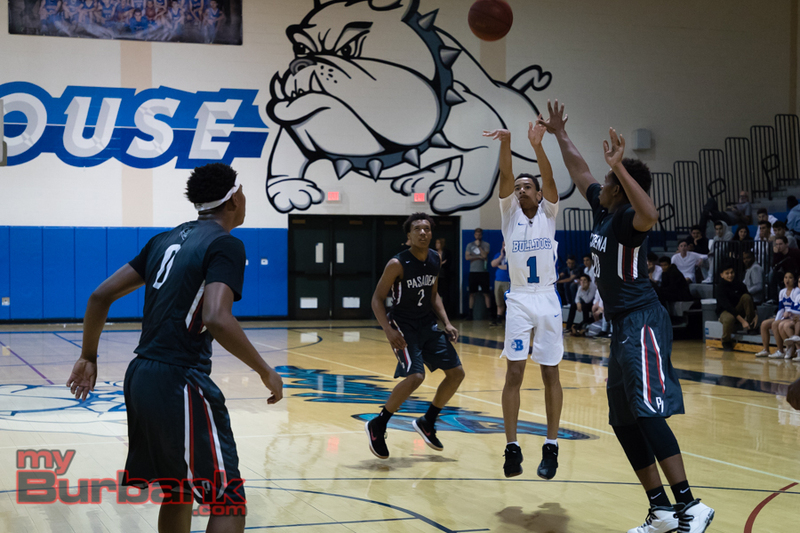 Burbank was led by Tyrese Willis, who had 15 points. 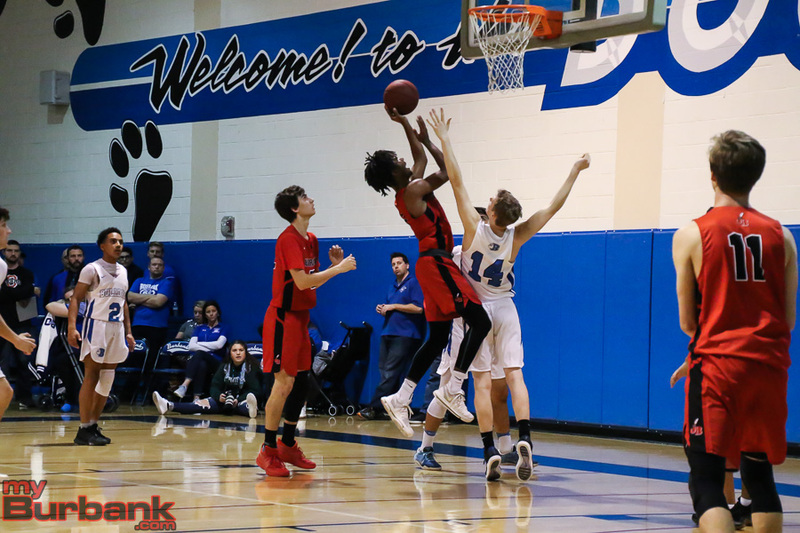 Xavier Davis had 14 points. 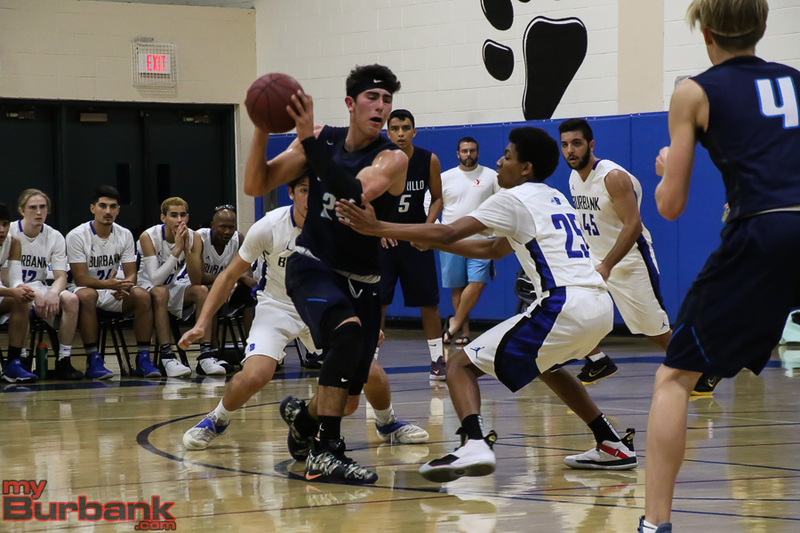 Chance Van Hook had 13 points and Erik Harutyunyan had nine. 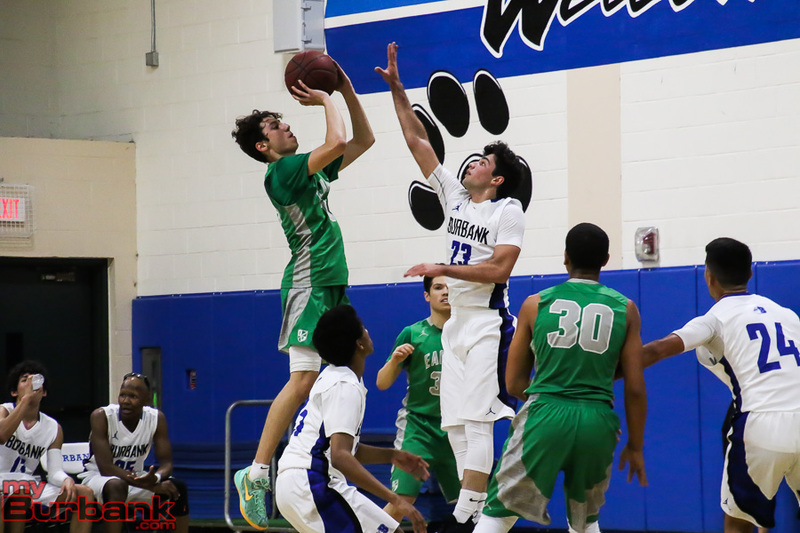 Jalen Clark and Justin DeSales each had four points and Sevak Mkrtchyan had two points. 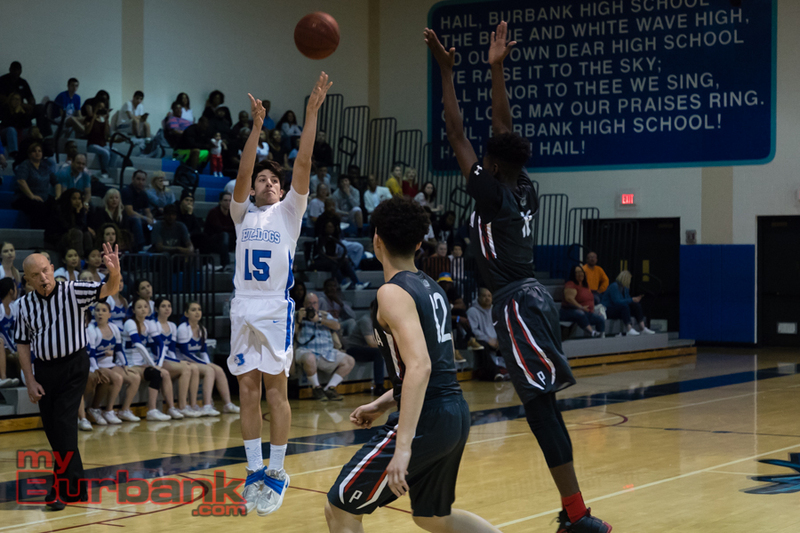 Burroughs was led by Omar Searcy, who had 13 points. 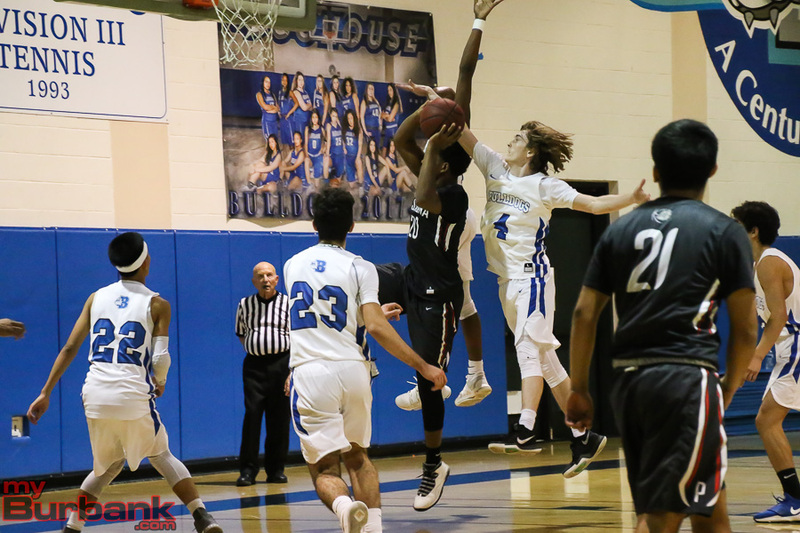 Carson Clarke had 11 points and Amir Montgomery had 10 points. 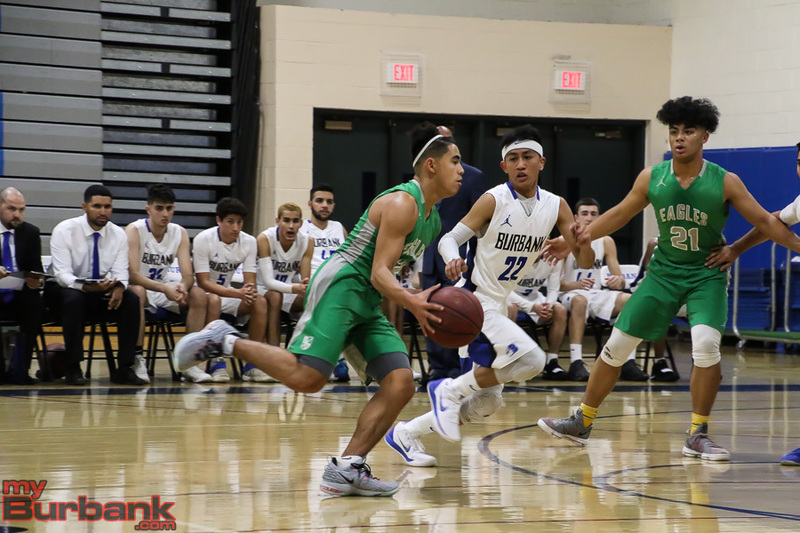 Bryan Oasay had five points, Quinton Roberts had four and Zion Bazzell had three points. 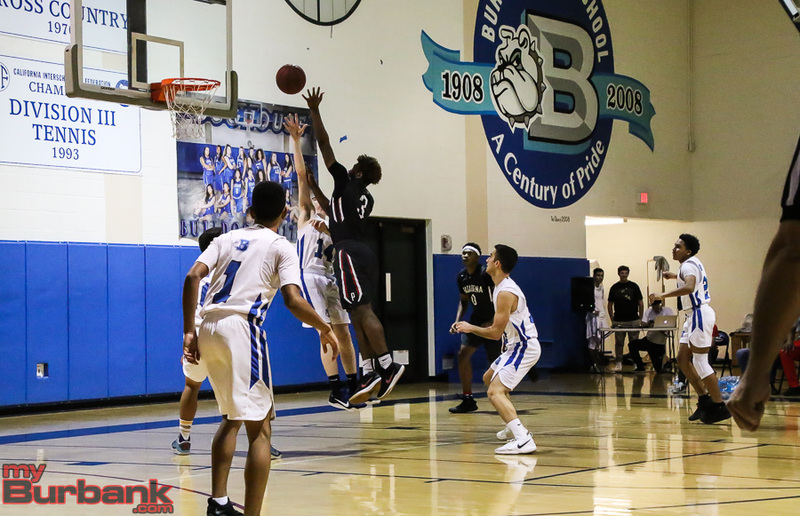 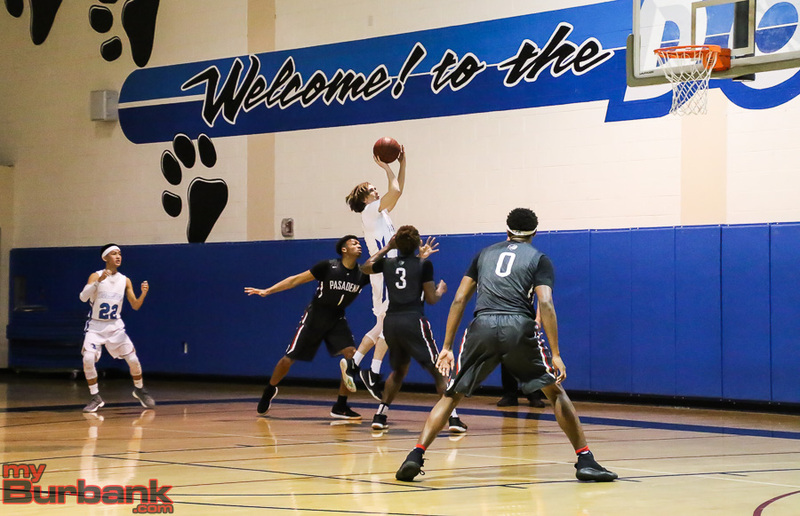 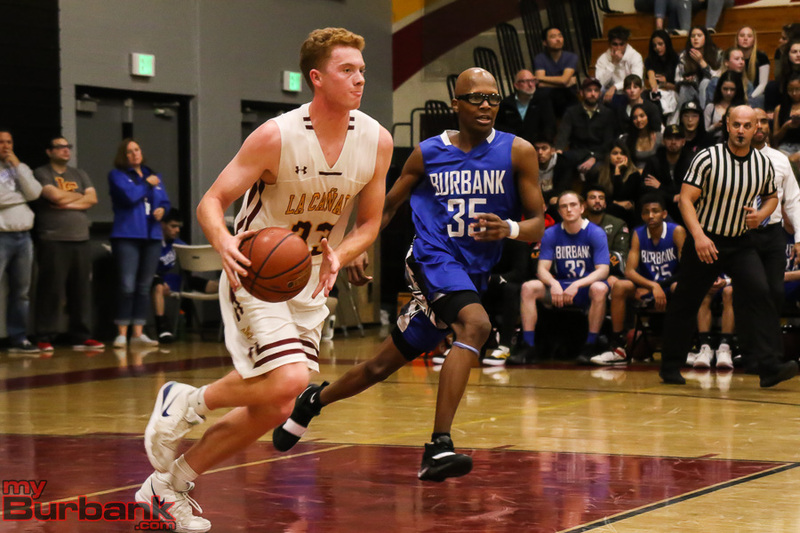 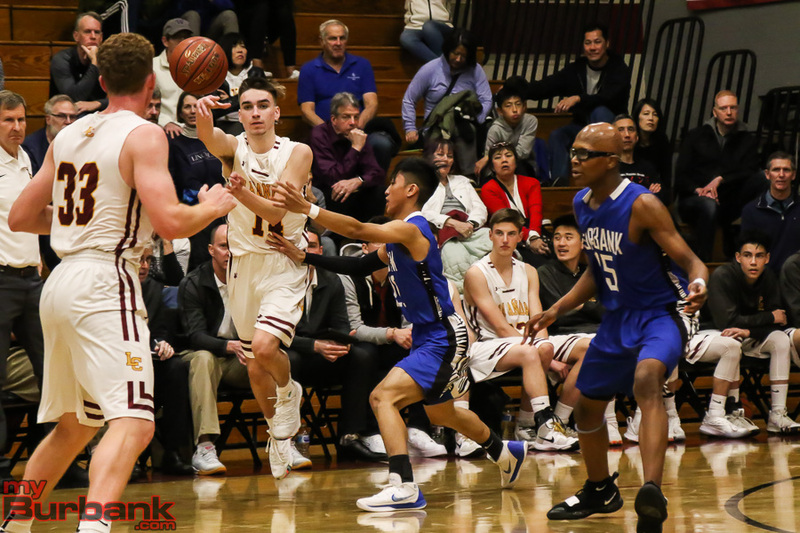 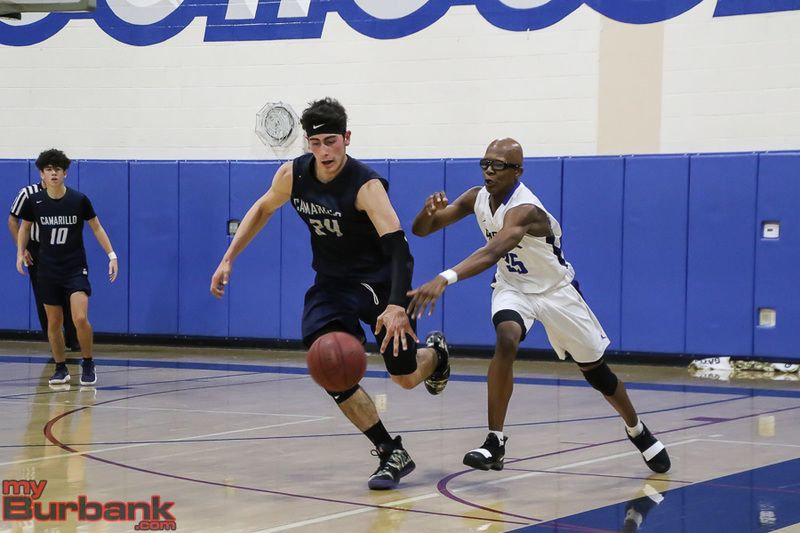 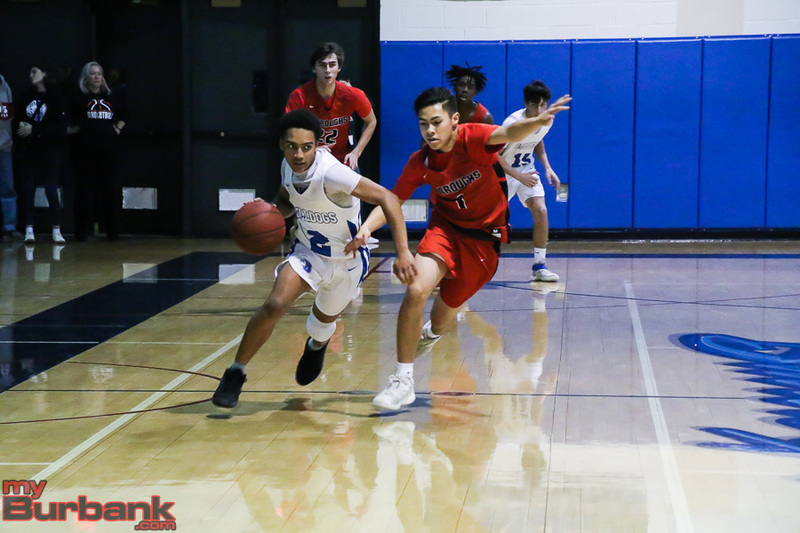 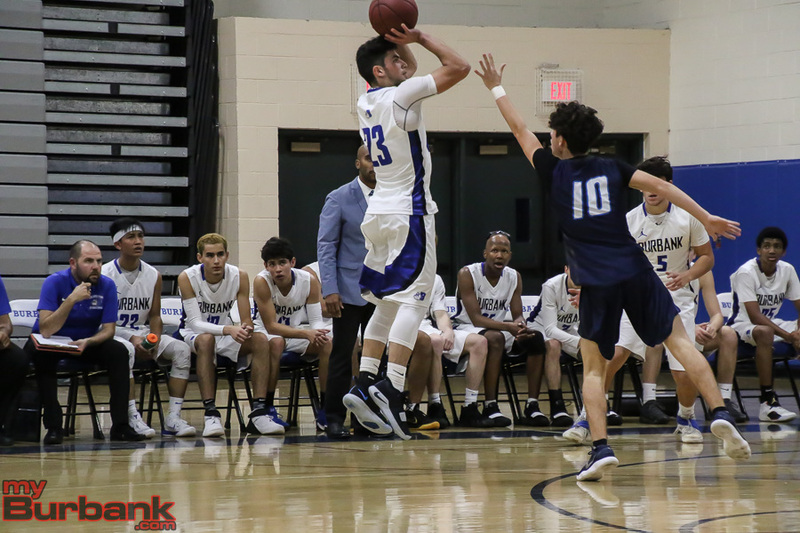 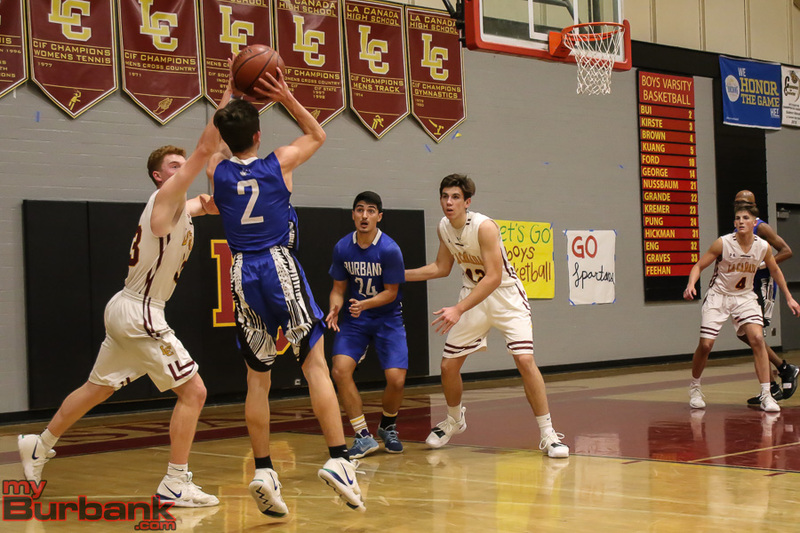 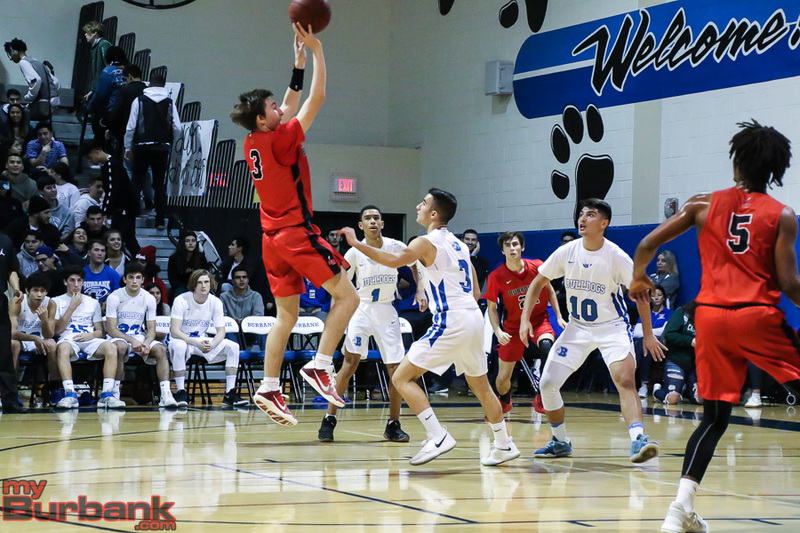 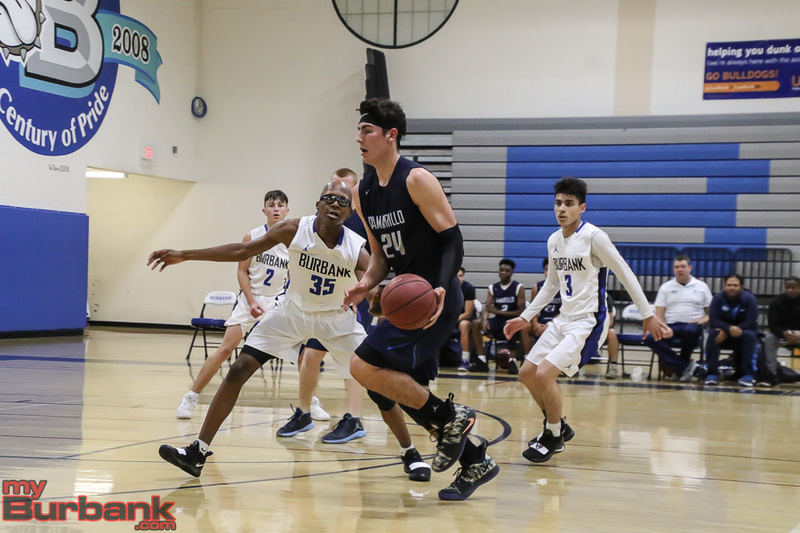 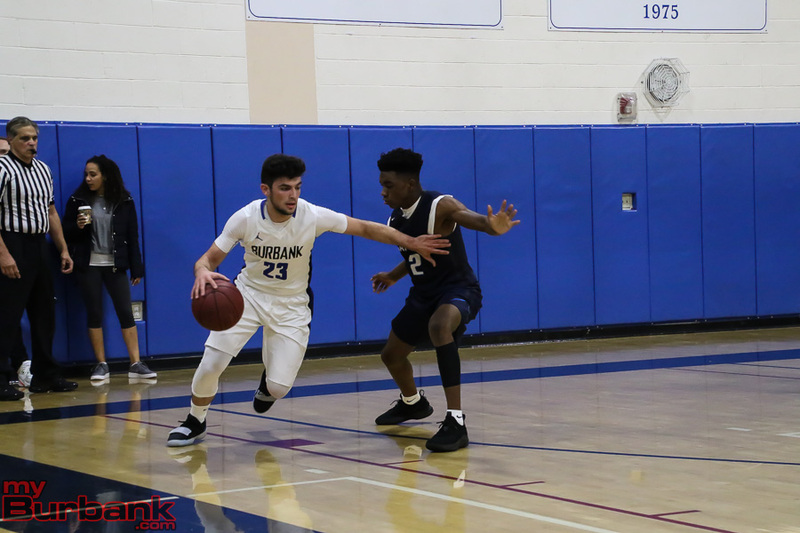 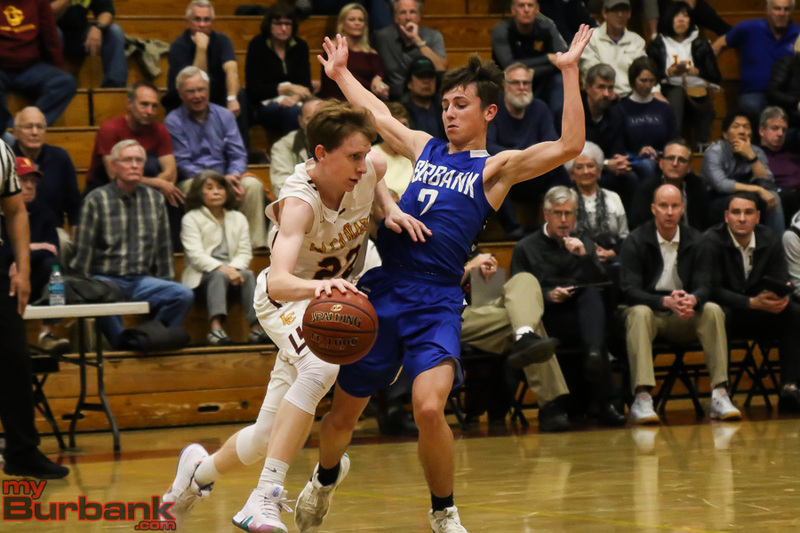 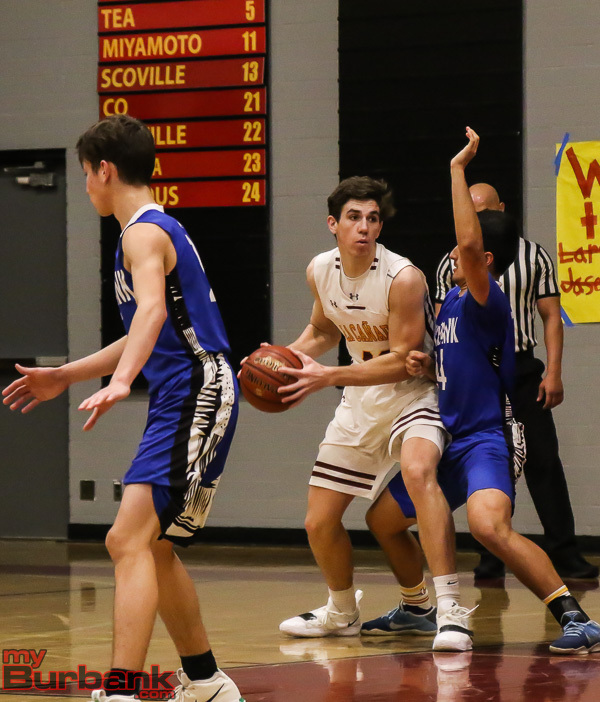 This entry was posted in Boys Basketball, Sports and tagged Amir Montgomery, Burbank boys basketball, Burroughs Boys Basketball, Carson Clarke, Chance Van Hook, Eric Harutyunyan, Omar Searcy, Stefon Foster, Tyrese Willis, Xavier Davis on January 20, 2018 by Jim Riggio.